At this time of year when the sun sets early, many people are affected by night blindness. Night blindness or nyctalopia refers to difficulty seeing at night or in poor or dim lighting situations. It can be caused by a number of underlying conditions, sometimes completely benign and sometimes as a symptom of a more serious eye disease. So, if you are experiencing trouble seeing in low light, especially if it is a sudden onset of the condition, it is worth having it checked out by your eye doctor. 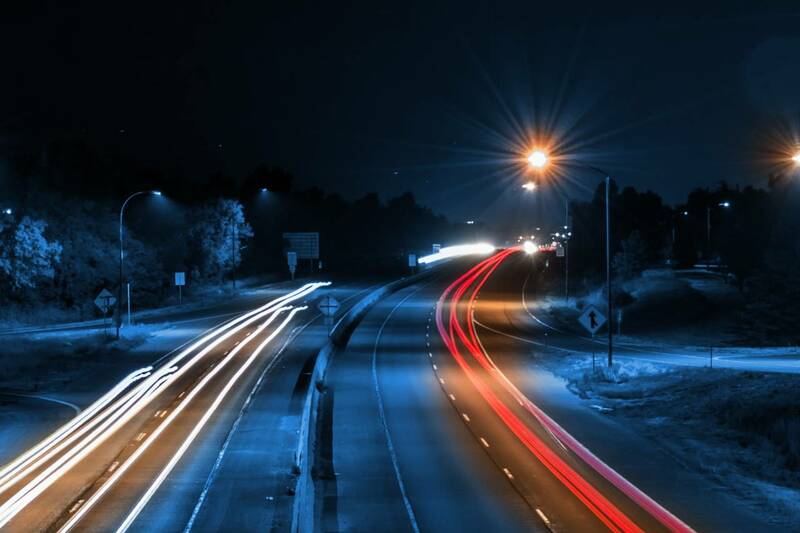 The main indication of night blindness is difficulty seeing well in dark or dim lighting, especially when transitioning from a brighter to a lower light environment, like walking from outside into a dimly lit room. Many experience difficulty driving at night, particularly with the glare of the streetlights or the headlights from oncoming traffic. Nearsightedness (myopia) – many people with nearsightedness (or difficulty seeing objects in the distance) experience some degree of night blindness, especially when driving. Retinitis Pigmentosa – a genetic condition in which the pigmented cells in the retina break down causing a loss of peripheral vision and night blindness. Cataracts – a clouding of the natural lens of the eye causing vision loss. Glaucoma – a group of diseases that involve damage to the optic nerve and subsequent vision loss. Vitamin A Deficiency – vitamin A or retinol is found in greens (kale, spinach, collards, broccoli etc. ), eggs, liver, orange vegetables (carrots, sweet potatoes, mango etc. ), eggs and butter. Your doctor may also prescribe Vitamin A supplements if you have a serious deficiency. Eye Surgery – refractive surgery such as LASIK sometimes results in reduced night vision as either a temporary or sometimes a permanent side effect. Injury – an injury to the eye or the part of the brain that processes vision can result in reduced night vision. Uncorrected Visual Error – many people experience better daytime vision as the pupils are smaller and provide greater depth of field to compensate for any vision problems. At night, the pupils dilate, so blur is increased from uncorrected nearsightedness, farsightedness, astigmatism or distortions/aberrations on the cornea from refractive surgery. Even a slight prescription for someone who may not need glasses during the day can make a significant improvement in night vision. Eyewear Problems – even if your vision correction is accurate, badly scratched glasses or poor/defective lens coatings can also cause trouble seeing at night. Special lens coatings are now available on glasses for night time and foggy conditions. Some causes for night blindness are treatable, while others are not, so the first step is a comprehensive eye exam to determine what the root of the problem is. Treatments range from simply purchasing a special pair of glasses, lens coatings or contact lenses to wear at night (for optical issues such as myopia) to surgery (to correct the underlying problem such as cataracts), to medication (for diseases like glaucoma). In some cases, your doctor may recommend that you avoid driving at night. During the day, it may help to wear sunglasses or a brimmed hat to ease the transition indoors. As with any change in vision, it is critical to get your eyes checked as soon as you begin to experience symptoms, and on a routine basis even if you’re symptom-free. Not only will this improve your chances of detecting and treating a vision-threatening disease if you have one brewing, but treatment will also keep you more comfortable seeing in low-light, and keep you and your loved ones safe at night or in poor light conditions.